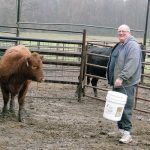 From the black dirt of north Missouri, through a career in the Missouri Highway Patrol, Mike Rogers has been around cattle nearly all his life. 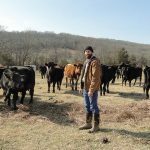 For the last 15 years, he’s been raising Gelbvieh cattle in the rolling, rocky hills of the Ozarks. 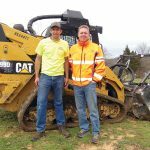 As a kid, he helped a neighbor in Summersville, Mo., milk cows and enjoyed his grandpa’s farm and cattle. “I didn’t have my own farm until 1987 when we moved to Mt. Vernon,” he said, adding that he raised a few Holsteins on that first farm. When introduced to Gelbviehs, he liked what he saw and transitioned to the breed. In Germany, where the breed originated, they were a multi-purpose animal. “They were used for milk, draft and meat, and they were all yellow,” Mike said. Today, black and red are the predominant colors, and meat is the primary use, at least in the United States. Mike described the breed as very maternal, gentle and bigger than Angus. When crossbred with Angus, the calves also seem to have better-than-average disease resistance. 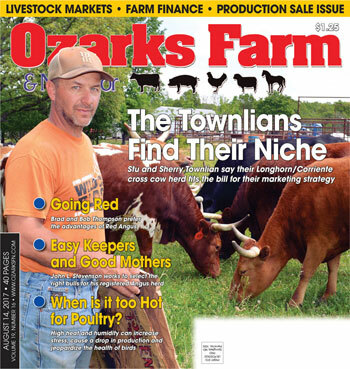 Now retired, he runs 35 cow-calf pairs on a couple hundred acres of the Rogers Gelbvieh Cattle Farm near Sparta, Mo. – just the right size for the one-man producer with the help of his wife Linda. 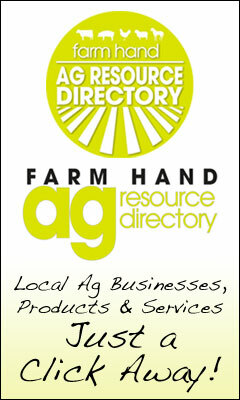 His seed stock operation sells about 10 bulls a year, as well as heifers and cows, to buyers within a 100 miles or so. He begins selling quality bulls at about 13 months, weighing about 1,100 to 1,300 pounds. Bulls that don’t meet his standards are sold as feeders when young. A member of the American Gelbvieh Association, Mike sells both purebred Gelbviehs and Balancer cattle. He explained that Balancers are a cross between Gelbviehs and Angus or Red Angus and must be registered by the AGA. The Gelbvieh genetics contribute higher pregnancy rates and easy handling, while the Angus genetics produces better marbling. Balancer cows over a lifetime also typically produce one more calf than average and live longer. This year his calves are closer to 75 percent Gelbvieh, because he used an embryo transfer 50-50 Balancer bull. When it comes to breeding, Mike plans for a narrow window of spring births beginning in early March. He’s back to using artificial insemination, doing all the prep and followup himself to keep costs down. “It’s more intensive,” he said of the fixed-time method he uses, but AI allows him to build the quality of his herd faster and allows for specific cows to be matched with specific bulls to produce desired traits. In selecting bulls for breeding to his cows, Mike looks at Genomic Enhanced DNA testing of the AI bulls that predicts progeny for several generations. The Gelbviehs feed on fescue pastures with some orchard grass, red clover and lespedeza. 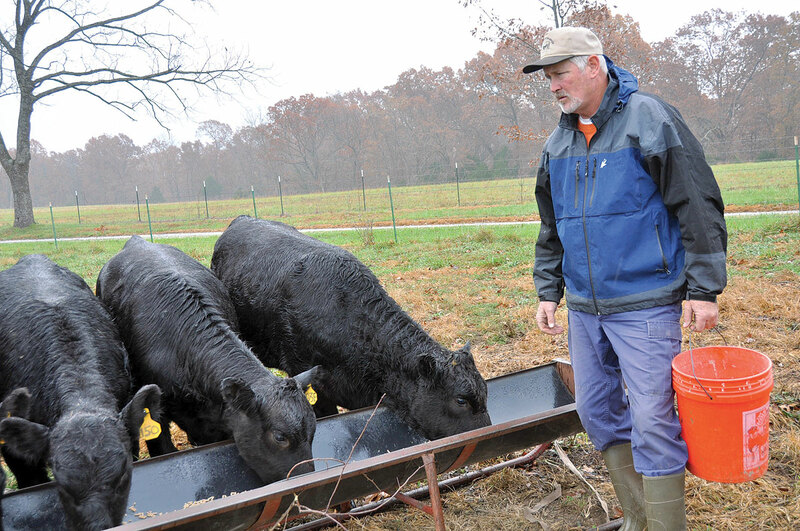 Before starting fence line weaning, he starts calves on dried distillers’ grains (DDG) feed and keeps them on it for a while, aiming at about three pounds a day with 12 percent protein. He’s careful to keep heifers from getting too fat, which can affect udder health. Though young bulls may get a bit more feed, but he watches their weight as well. Mike’s goal for the next 10 years is simply to continue what he’s doing now. His herd size is limited by his grass acreage of about 100 acres, so he focuses instead on quality. While the Gelbvieh breed isn’t a household word, Mike noted that the market he sells to knows them. « Do You Have a ‘Special Advisor’?